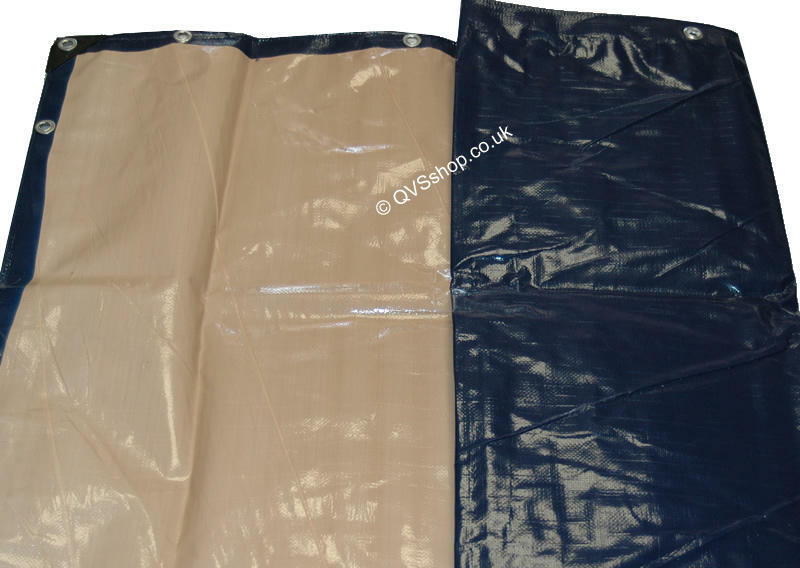 The blue/beige tarpaulins are one of the strongest polyethylene covers and so are ideal for the more demanding outside purposes. They are commonly used as temporary roofs due to their robust and waterproof characteristics. 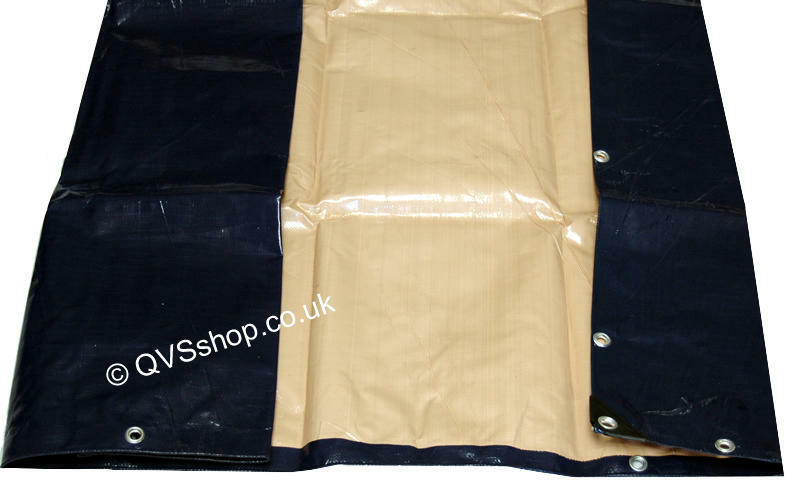 Additional uses include protecting boats and cars from detrimental weather conditions as well as a very hardy groundsheet. The dual colour sheeting is blue on the outside and beige on the inside giving the user more choice when applying the cover depending on what colour they want to face upwards. 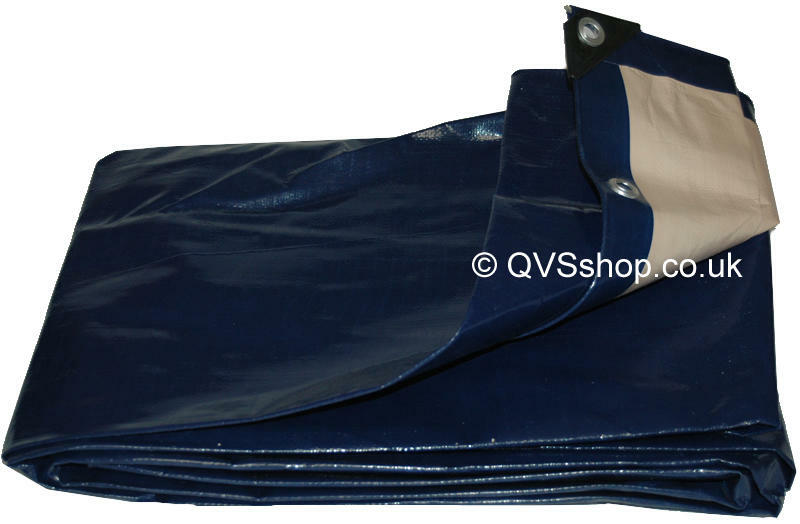 Even though this is a superior heavy duty tarp, it is still flexible and easy to handle, and even in sub-zero temperatures it will not become stiff and difficult to fold. 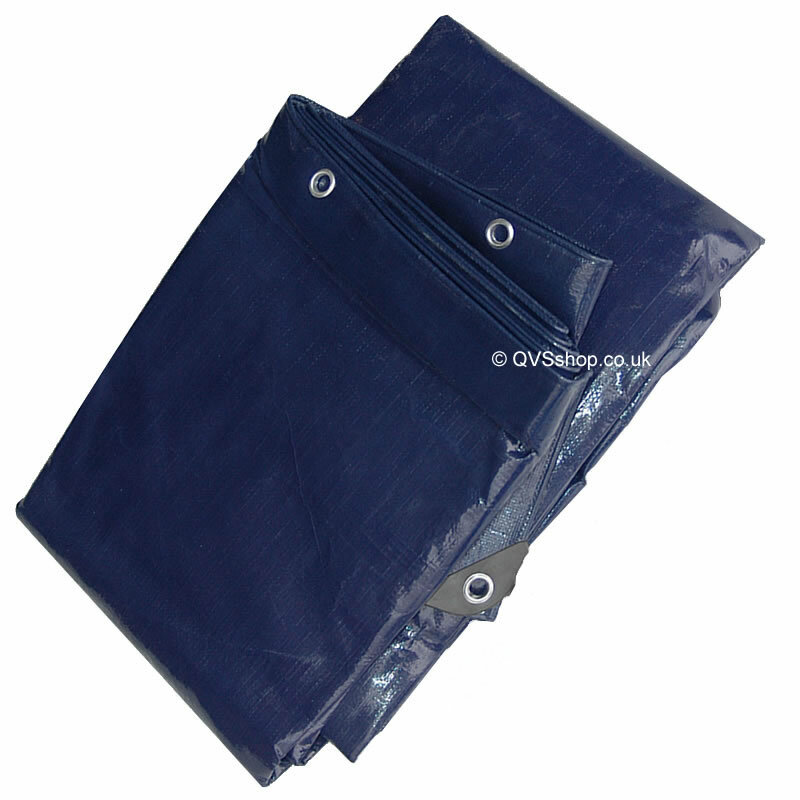 Manufactured from 350gsm five layer polyethylene, this cover is extremely tough as well as being rootproof, mildew resistant and UV stabilised. Therefore it is suitable for all weather conditions and climates with the reduced chance of degradation. Furthermore each corner has been reinforced with thick plastic around the eyelets to decrease the chance of the corners breaking during use. Eyelets have been inserted in to these hems at half metre intervals with extra eyelets 10cms each side of all four corners. 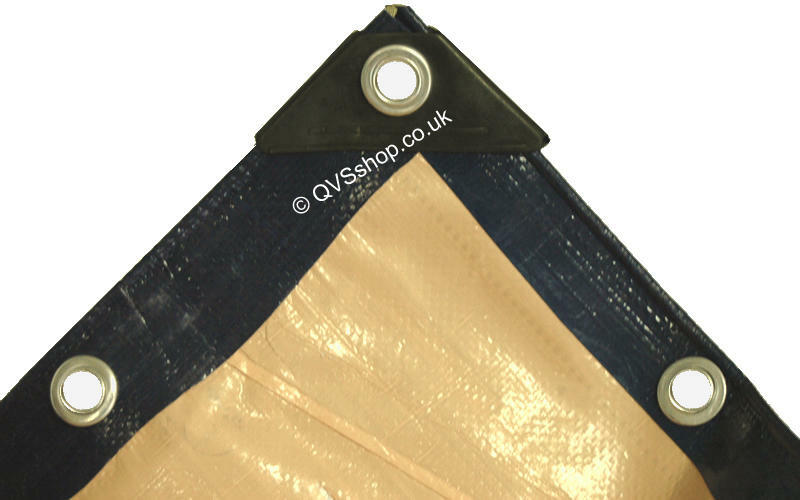 When fixing this groundsheet try to evenly distribute the strain through all eyelets and avoid using the fixing points only to hold the weight of the tarpaulin. 350 grams per square metre. Sizes available: 2m x 2.5m, 2m x 6m, 5m x 7.5m, 5m x 11m, 6m x 13m.